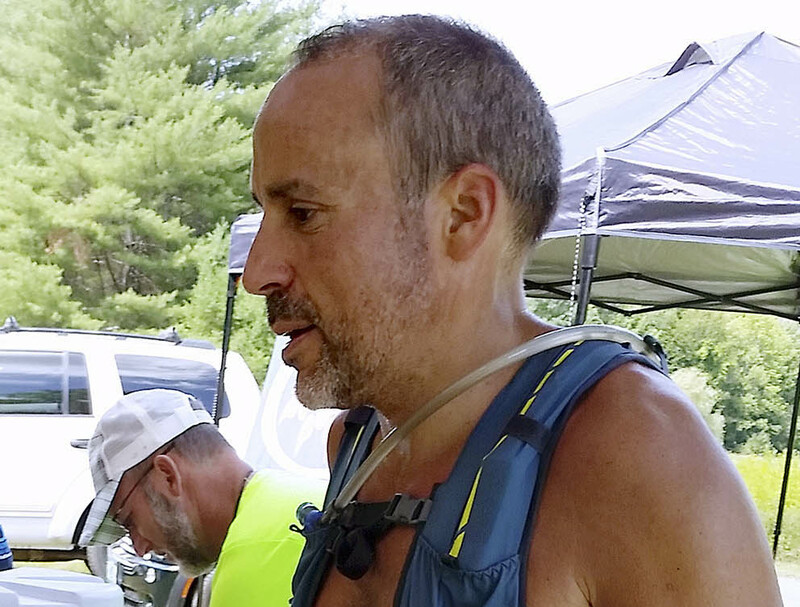 James Eckert is shown at a road race aid station in Woodstock, Vermont, on July 21, 2018. 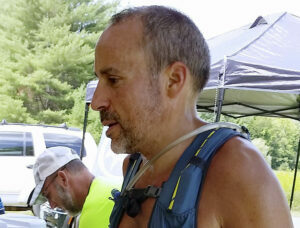 Officials said Eckert and his wife, Lizette Eckert, were found shot Friday morning inside a home in Alton, N.H. She was pronounced dead at the scene, and he died Friday night. An 11-year-boy was arrested in the case.